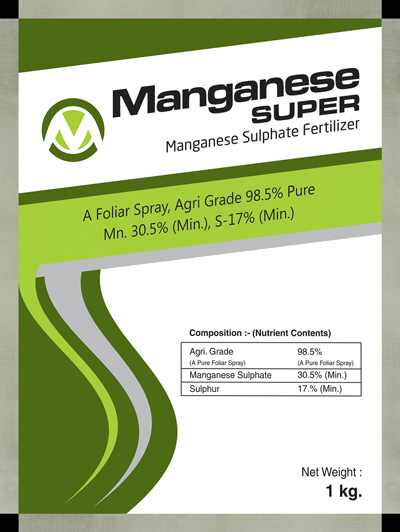 MANGANESE SUPER is recommended for the control of Mangese deficiency in leaves. It works as a disease resistance and develop the quality of crop. It used as a foliar spray after 30 days of germination and repeat spray at a interval of 20 days. Crops Whea, Potato, Onion, Peas, Cotton, Fruits, Vegetable crops , Tomato etc. Dose : 2.5 gm in 1 ltr of water.